We can match your colors by all major paint manufacturers. The final step in our production process is the stucco top-coat. We are unique in that we mix the tint of the final stucco top coat layer versus painting on top of the stucco. This allows the same color to show through after damage from landscapers & such when trimming around the monument base. We also include containers of tinted stucco for touch-up, just in case. 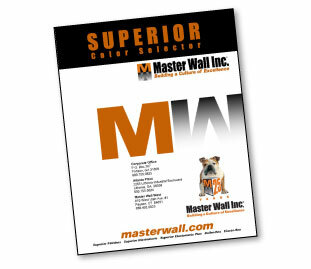 We are authorized representatives for both MasterWall and Dryvit Stucco Systems, the two nationally accredited stucco manufacturers. We offer any standard color by both manufacturers. 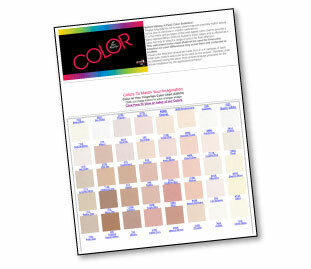 You can download the standard Color Charts Below. Select the image above, or right-click to download. Select the image above, or right-click to download. We are authorized representatives for both 1Shot! and Matthews Paint Systems, which are the Sign Industry leaders in high-performance sign enamels and finishes. We can also custom color match by a physical swatch, including Pantone Colors (within a slight degree of accuracy). We offer the Matthews Paint System Commercial Sign Finishes. We offer the 1Shot! 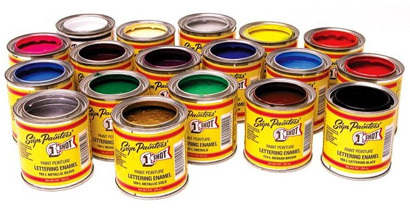 Family of Professional Sign Enamels. So in short, we can match any color you like, and in a variety of commercial-grade finishes that will last in any environment. We take the longevity of your project into account, and will offer the BEST low-maintenance finishes available in any Industry.